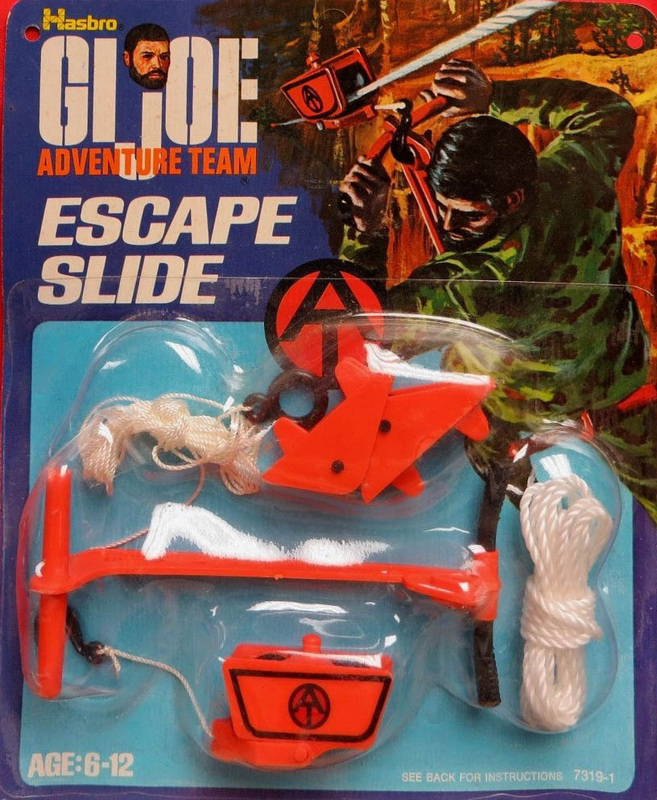 The Escape Slide (7319-1) was initially released in 1973 as part of the Adventure Team Training Center. In 1974 it came out as a carded set of its own, with the addition of a pulley system that could be set up to winch Joe back and forth across the line. Reshot in yellow, it was also used for the 1975 Shocking Escape set. Image of carded set courtesy of Joezeta. Be sure to check out his auctions here.